If you like carbs like I like carbs, you’re going to be hungry by the end of this post. And it’s a little lengthy…so you might need a snack. Or a glass of wine. Or both. I’ll wait a minute…. FIRST: the dough. Since I was making homemade pasta, I started the pasta before the sauce. 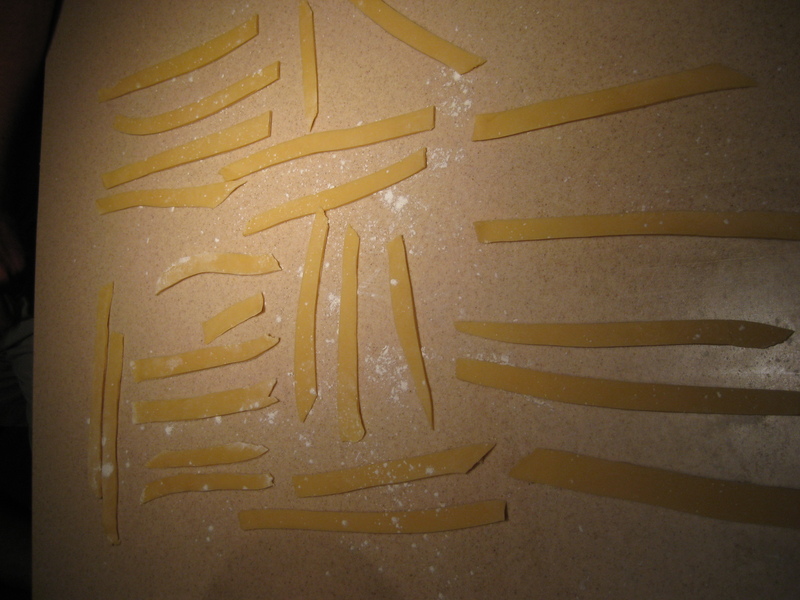 Homemade pasta needs time to rest and dry slightly after being formed and before being cooked. I made my dough in a the food processor. TO BE FAIR: I have seen many chefs do this. AND- the processor even has a “Dough” button, so you kind of have to use it. Your basic pasta dough is flour, eggs, a pinch of salt and a little drizzle of olive oil. Next the dough gets kneaded by hand for about 5 minutes until its stretchy and shiny. Cover with a bowl and let it rest for 20 minutes. 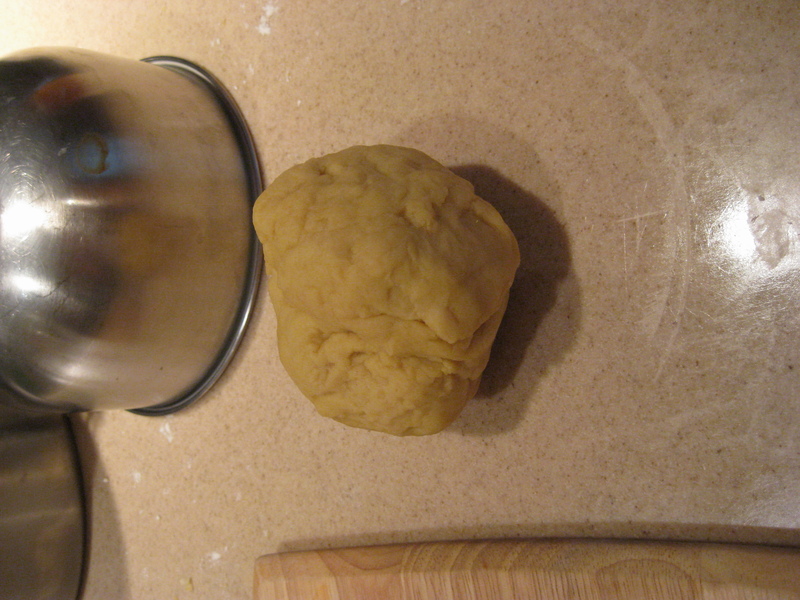 Now roll out the dough to about 1/4-1/8 inch thickness. Because I did not (yet!!) have a pasta roller, I used a rolling pin and tried to get it as thin as possible. Which took some work. I told myself that having thicker pasta would just add to its charm. 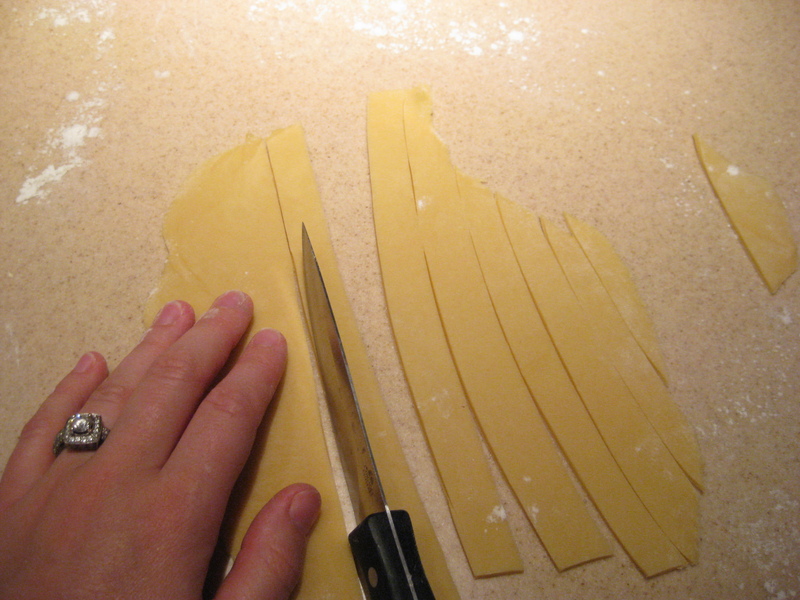 I cut the dough into wide strips which makes it, I think, tagliatelle. Tagliatelle of random, inconsistent lengths, but tagliatelle nonetheless. I separated the pieces and left them to dry on the counter while I made the sauce. Other than the difficulty of rolling, this was pretty simple. Drying tagliatelle. Charmingly rustic. Right? I used the basics of two different Italian recipes to make my Bolognese sauce. First, this recipe from Mario Batali and this recipe as well. By this point you’ve probably noticed that I almost always look at more than one recipe. I like to find the commonalities that make a true Bolognese sauce versus the individual spin a chef may put on a recipe of their own. In this case you find the common ingredients: bacon, red wine, onion, celery, carrots, ground meat. And the basic steps: saute, sweat, deglaze, simmer. Get it? So in my excitement to post about the 2010 Beef Wellington Extravaganza, I forgot to mention the sauce I made to go with it. I have to share…its really good. Joy of Cooking recommended several different recipes for sauce to go along with the beef, including a mushroom wine sauce. I used that recipe as my jumping off point. First, you want to use the pot that you used to sear the beef roast: all the flavor and- I’ll say it- the fat will provide a great base for the sauce. 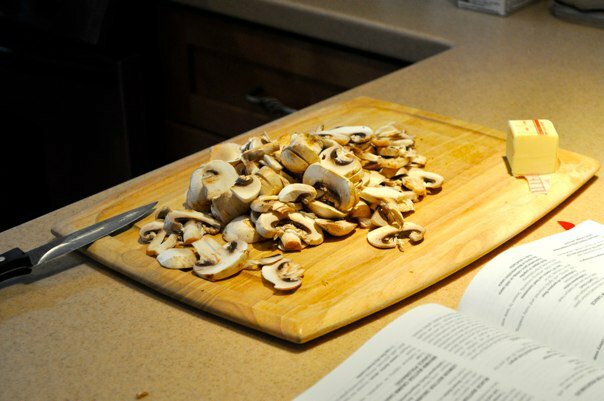 Next, chop up about 2 cups of mushrooms and 1 medium sized shallot. 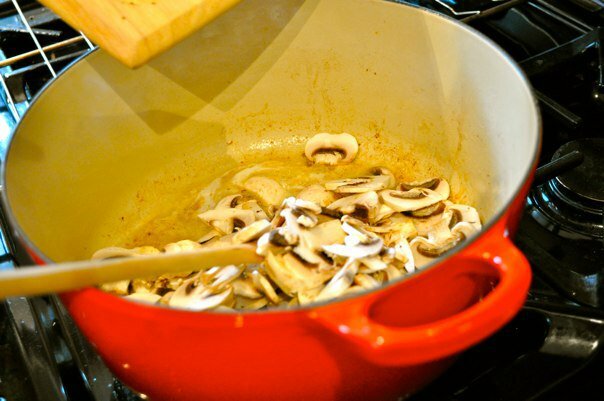 Melt a couple tablespoons of butter in the pot and then toss in the chopped mushrooms and shallots and some kosher salt. Saute them for a few minutes then add in a few tablespoons of the duxelles that you reserved and a couple tablespoons of Madeira. You KNEW that duxelles would come in handy, didn’t you!? After a couple more minutes, add a few cups of chicken stock. I tossed in about 2 1/2 cups…it was all that was left in the fridge! 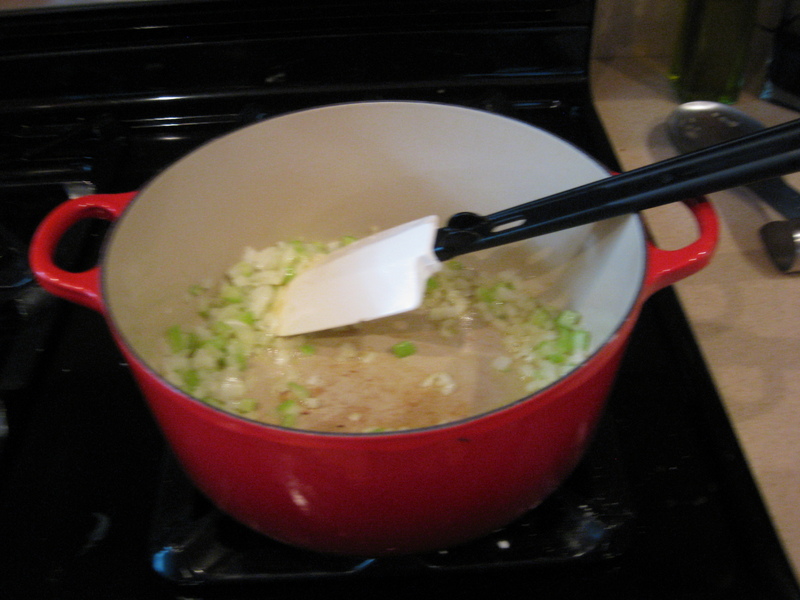 Now, let it cook and cook stirring occasionally until its cooked down and thickened. The beauty is that you can turn the heat way down and leave it on the stove until your roast is ready…just make sure you stir it every so often. 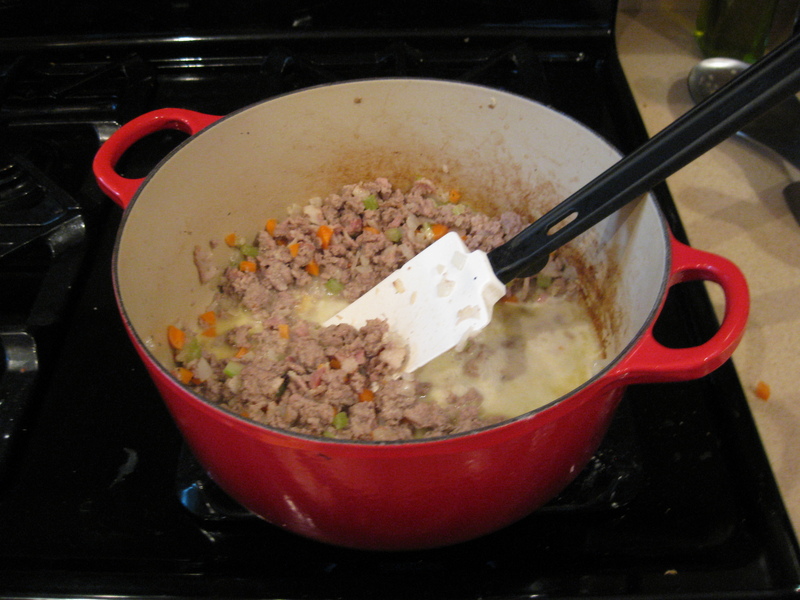 I added some more butter (shameless) and a little black pepper toward the end of cooking. I just kept tasting the sauce and adding to taste. It made a gravy-boat-full of sauce….that’s the metric system. It was fantastic with the beef wellington, buttery and with the same deep flavors of the roast. Also the mushrooms stay firm and are great secretly plucked out of the gravy boat and eaten with the wellington and any sides you make to go with it. NOTE: I feel like this recipe is pretty much the standard approach to many sauces: Deglazing the pan you cooked meat in, adding flavors (mushrooms/shallots) and then adding liquid (stock/Madeira) and reducing down. I apologize for the lack of a “finished product” picture….it got devoured pretty quickly. Consider that an endorsement! More soon…I apologize for the brief hiatus!